Glam Polish is Celebrating 6 Years of Glam!! And they are releasing these beauties in honor of it! Read on for more info! Glam Polish-You Had Me At HOLO! 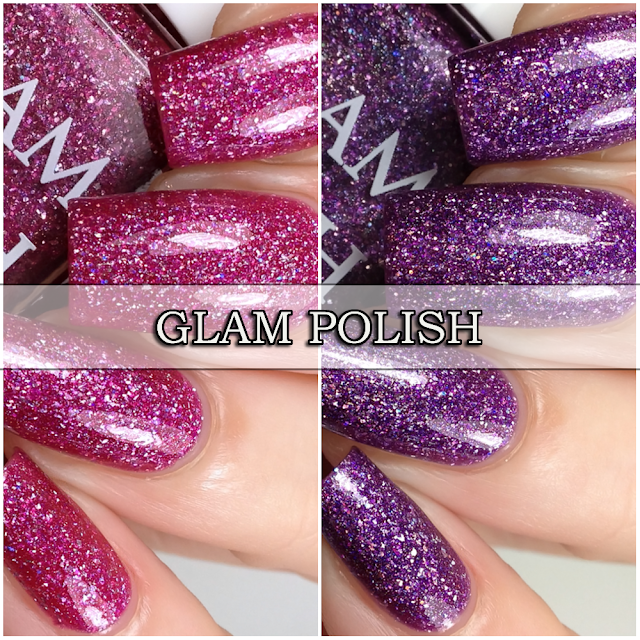 Described as a fuchsia ultra holo with holographic flakies, ultra holo glitter and fine holo microglitter. 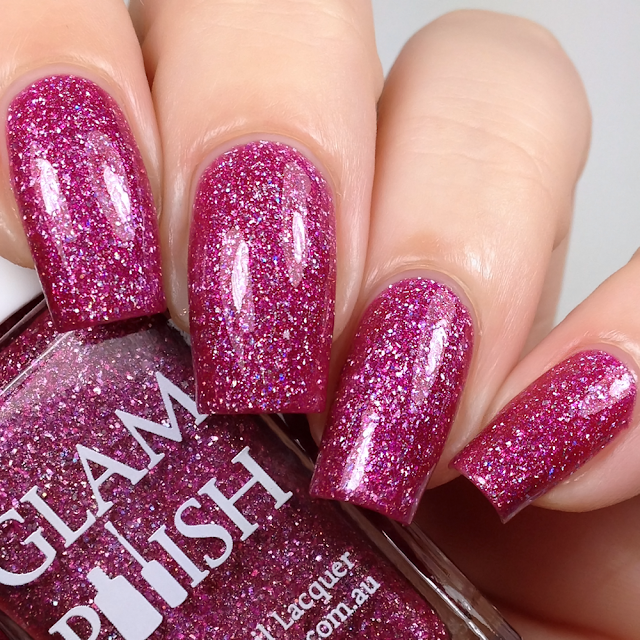 Glam Polish-Leave A Little Sparkle Wherever You Go! 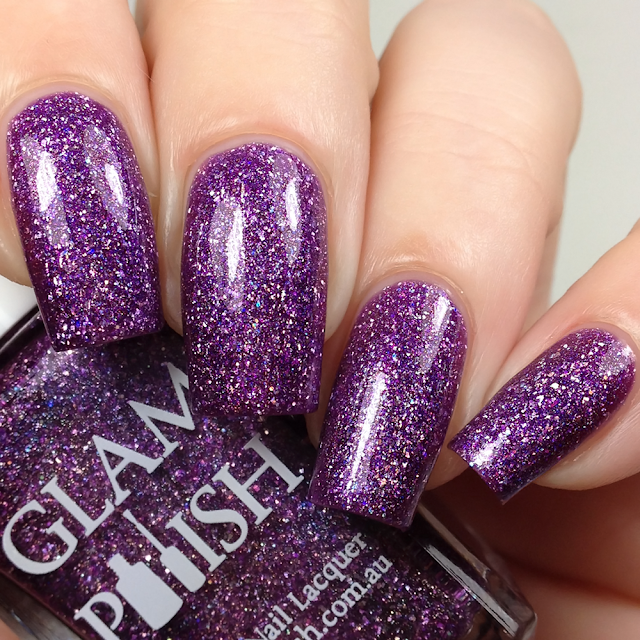 Described as a purple ultra holo with holographic flakies, ultra holo glitter and fine holo microglitter. Save 10% Off The Full Collection Set for the first 96 Hours. Save 12% Off The 6th Anniversary Duo Set for the first 96 Hours. They are giving away a free mystery full sized Limited Edition Nail Polish to the first 120 customers who spend $60 USD on products not including shipping in one transaction placed on their website from 12pm on Nov 22nd, while stocks last. -Sale items are only available while stocks last. -A Strict limit of one free mystery Limited Edition shade per customer and per shipping address. -Free LE offer starts at 12pm EST Nov 22nd and is applicable only while stocks last and for eligible orders only. -Black Friday Discounts and promotions cannot be combined with any other discount code or free shipping offer. -All Sale items only available while stocks last, Free LE Promo does not apply to orders placed before 12pm EST November 22nd EST (USA). -Black Friday Promo will not apply to orders placed before timeframe and is strictly while stocks last. -Discounts and Promotions cannot be applied to previous orders or open orders made prior to sale. -Orders cannot be combined with open orders placed prior to sale or orders placed during the sale. -Change of mind cancellations are not permitted during this sale.